The buzz around NFC is getting stronger and stronger. After Google announced its upcoming Wallet service, which has arguably been the greatest catalyst for NFC-related talk recently, we now hear that another big-time player is considering adding NFC capabilities to its gadgets. According to Boomberg's unnamed sources, HP is actively working on getting some near-field communications love into its upcoming phones and tablets, running (Palm's) webOS platform. However, it looks like HP might not stop at just incorporating an NFC chip, but creating a whole ecosystem of its own. It is said that customers will be able to use the technology in order to pay for goods, as well as receive coupons and royalty points by placing their handsets near the designated objects (terminals, special posters, etc. ), similarly to Google Wallet. 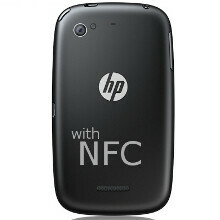 The rumor states that we may see HP's first NFC-enabled devices by the end of the year. As most are probably aware though, the company's first webOS tablet – the HP TouchPad, which is expected to launch on July 1 in the U.S. - will not sport an NFC chip inside. Oh well, having to wave your 10-inch tablet in front of a payment terminal probably wouldn't have been the most comfortable thing to do anyway. NFC will be as comon as Wi-fi and headphone jacks on devices soon. Not everyone will use it, but you will be hard pressed to sell a large amount of phones without it. RIM said it will have it on nearly every new device (if they ever release one), Google upped the bet with the wallet service (which I think is a really kicking idea), and if HP is truly serious about earning some Mobile street cred. NFC is one way to do it.